Here's another Mac swatch! This time it's eye shadows. I love using Mac eye shadows, and they're great quality. Some of them are a bit hit or miss though, so go try them out a Mac store first before buying. The two I'm swatching today are Greensmoke and Tempting. Above is what they look like in the pan. Stunning right? 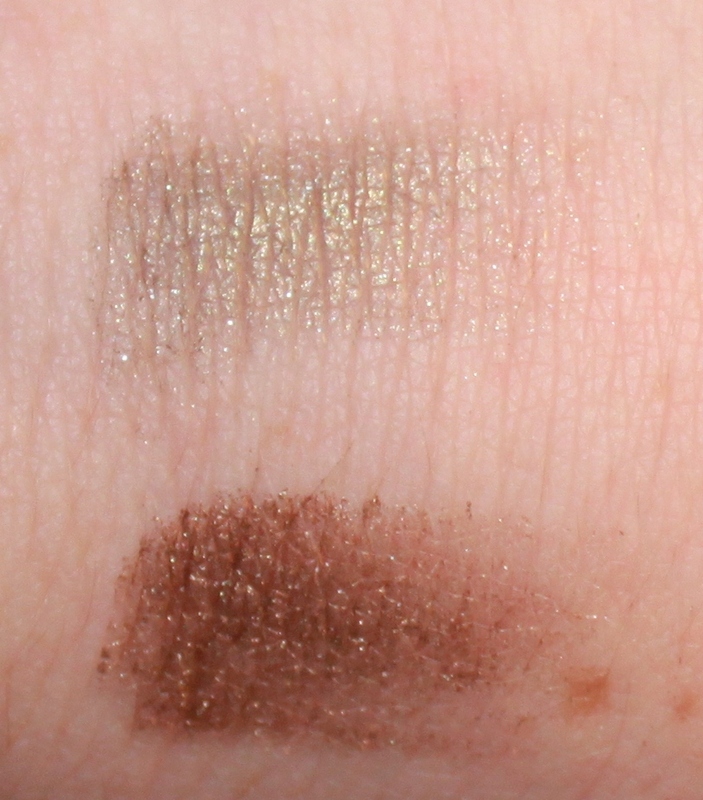 The first one swatched is Greensmoke, looks gorgeous in the pan. A goldy leaf green. Swatched, this isn't a very heavy shadow. It's very sheer. When I tried to swatch it it felt a bit gritty, and hard to get much colour on my hand, but as a sheer was of colour, this actually looks really pretty. The second one on my hand is a bronze called Tempting. This was so easy to swatch, and carried plenty of colour. This looks stunning on the eyes. 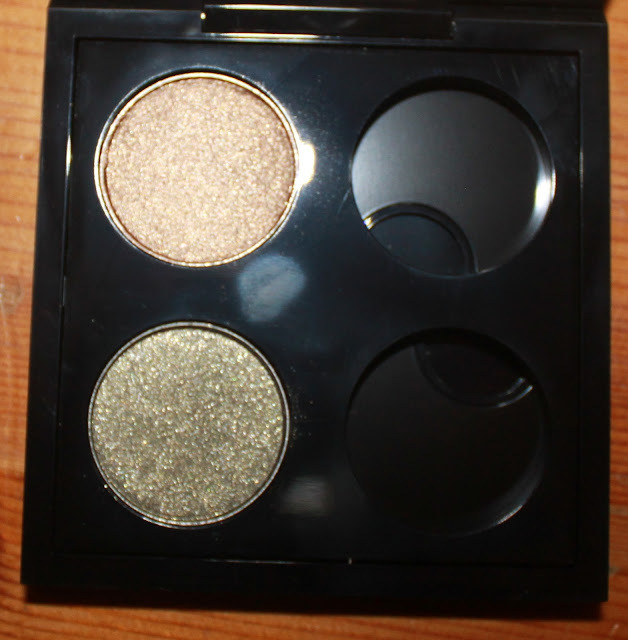 It's very rich in shimmer and pigment, which is a total win for me. I loved both of these colours, but I was a bit let down by the texture of Greensmoke. I'll hopefully be showing you some tutorials on different make up looks, so stay tuned for these to make a reappearance! Thanks for reading! I really like the bronze one, looks really pigmented. I have Stars N Rockets, it's so lovely. I prefer the bronze one too. And I love that colour!